Click to viewHumans can't walk in straight lines. If there's no fixed point of reference, we just walk in circles and inevitably get lost. Nobody knows why, but researchers at the Max Planck Institute for Biological Cybernetics have confirmed it in several experiments. 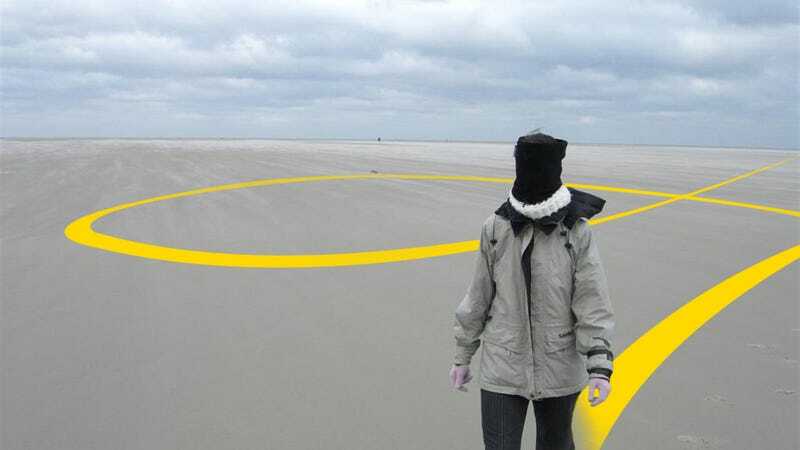 If you walk, drive or sail blindfolded, in the middle of the fog or at night, with no stars in sight, you will not be able to keep a straight line. No matter how hard you try, you will end going in circles because, for some mysterious reason, humans have a tendency to lean to one side more than the other. Some people speculate that this is because one side of the brain is the dominating one. Others point out that the reason may be purely mechanical, because one of our legs is always sightly shorter than the other. But, according to the results of the study, these are not the causes for this unique behavior. At least, there's not one single explanation and it may be a combination of many.